In the mid-90s with the advent of the first antiretroviral (AVR) drug combination therapies, Kaposi’s sarcoma (KS) lesions and lipodystrophy (wasting away of body fat) rapidly faded from public consciousness as signs of HIV infection. Only to be replaced by another symptom that can powerfully impact the health and appearance and health of the HIV population: Belly fat accumulation, also called HIV-related lipohypertrophy. PLWH can experience HIV lipohypertrophy: Fat accumulation in their subcutaneous tissues (under the skin), within the abdominal cavity, and on the belly or behind the neck (creating a ‘buffalo hump’ appearance). M may experience both gynecomastia and women may experience breast augmentation. However, lipohypertrophy can also be accompanied by lipoatrophy (fat loss) in the face, arms, buttocks, and legs. Muscle atrophy and bone loss could also occur. Currently, there isn’t a consensus regarding definitions of the different kinds of lipoatrophy or lipohypertrophy, neither is there a reference test for the diagnosis (1). Some of these symptoms could be caused by taking HIV medications, and some may be the result of the infection. Lipoatrophy is most frequent with drugs like d4T (Zerit, stavudine) and AZT (zidovudine, ZDV), which aren’t often prescribed in the US (2). While the accumulation of belly fat is possibly an effect of HIV, it’s also been observed in PLWH who take protease inhibitors like indinavir (Crixivan), which is also rarely prescribed now (3). A recent study suggests that lipodystrophy may be irreversible in patients exposed to old drugs. But that conclusion was derived from a cohort of patients that were offered no interventions to decrease visceral fat. The individuals who had taken AZT, d4T or ddI had done so for an average of six and a half years but had stopped taking them an average of nine years ago. Unfortunately, the new class of HIV medications called integrase inhibitors can also increase weight gain in HIV+ people. The problem with HIV-related belly fat is that it isn’t limited to just the subcutaneous fat layer (fat located under the skin). Belly fat also includes visceral fat deep inside the abdomen and surrounding the internal organs. Visceral fat is particularly dangerous because fat around the abdominal organs may not just swell the belly; it can also change the way the body functions (4). Fat cells can do much more than store extra calories. Visceral fat tissue, in particular, can behave in an organ-like manner by secreting hormones and inflammatory substances called cytokines; leading to inflammation and interfering with the hormones regulating appetite, brain function, and weight (5). One of the best approaches to dealing with HIV-related belly fat is by making changes to the diet. While calorie restriction alone can reduce belly fat accumulation – it can be hard to stick with long-term (6). Sufficiently reducing food intake to make an impact on body fat levels is typically uncomfortable and may also reduce muscle mass, slowing the resting metabolic rate (6). Calorie restriction may be a way to jump-start fat loss but isn’t optimal to maintain healthy body fat levels. A better and long-term method of losing belly fat may be by reducing carbohydrate intake with a ketogenic diet. The body has two sources of fuel; glycogen (sugar) and ketones (fatty acids). When someone consumes a steady supply of starches and sugars, the body does not need to tap into stored fat. A ketogenic diet is intended to deplete the body’s supply of glycogen so that it can begin breaking down the excess fat. One of the greatest benefits of a ketogenic diet is that it can lead to a reduction in appetite (7). Studies consistently demonstrate that when people reduce carbohydrate intake and consume more protein and fat, they eat fewer total calories. When researchers compared ketogenic to low-fat dieting in recent studies, calories had to be restricted in the low-fat group to achieve comparable results (8). Getting regular exercise is a healthy habit and comes with many benefits. Unfortunately, reducing belly and visceral fat isn’t one of them. The amount of running, biking or swimming that someone performs to burn enough calories to significantly impact weight loss is extraordinary. To burn about 3500 calories (the amount in one pound of fat) the average person would need to run about 29 miles at a six mile per hour pace. But, there is a training protocol that has been demonstrated to reduce body fat while building strength and cardiovascular fitness; high-intensity interval training (HIIT) (9). Research shows that only 15 minutes of HIIT training can burn more calories than one-hour on a treadmill (9). HIIT workouts can also utilize body weight exercises, so a workout that gets your heart rate up fast like sprinting, jumping jacks, and Burpees can be used for a HIIT workout almost anywhere. Weight loss supplements have a (well-deserved) bad reputation. But certain vitamins and other substances found in nature, when taken while eating a healthy diet and following an exercise routine, could help reduce HIV-related belly fat. Whey protein: Overweight test-subjects who consumed one whey protein drink per day lost more weight than those who had a daily soy protein shake instead, according to a study published in the Journal of Nutrition (10). Note: Be careful of you are milk-protein intolerant and do not add sugar to the product. Green tea extract: A study in the European Journal of Clinical Nutrition (11) found that at low doses, a phytochemical in green tea called epigallocatechin gallate can increase fat oxidation by approximately 33 percent. Glutamine: A study in the European Journal of Clinical Nutrition (12) concluded that without reducing caloric intake people still lost weight after taking a glutamine supplement for one month. Doses should be at least 3 grams per day. Vitamin D: A 2009 study from the University of Minnesota (13) found that individuals who begin a diet with healthy vitamin D levels lost more weight than those who dieted with low vitamin D levels. Data is not lipodystrophy-related, however. Metformin (Glucophage): According to one study (14), weight loss from metformin will tend to happen slowly over a couple of years. The amount of weight lost can also vary between individuals. In this study, the average weight loss after two or more years was between four and seven pounds. Dose range from 500 mg twice per day to 850 mg twice per day. Start low and ramp up to assess any GI distress. Testosterone: Low testosterone levels have been associated with higher levels of body fat. 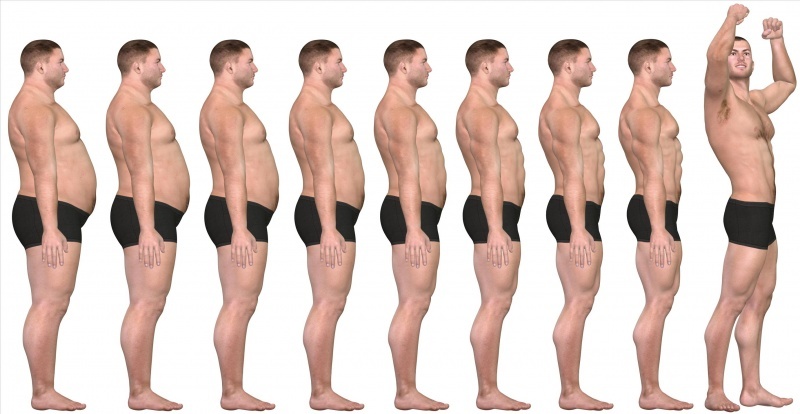 According to one study – long-term testosterone therapy in men with testosterone deficiency produces significant and sustained weight loss and a marked reduction in waist size (15). Keep total testosterone above 500 ng/dL. Appetite suppressants: Common prescription appetite suppressants like orlistat, Belviq, Contrave, Saxenda, phentermine, and Qsymia may help reduce HIV-related body fat through calorie restriction (16). A patient will typically need to have a body mass index (BMI) over 27 or have a weight-related condition such as diabetes or hypertension before the doctor will provide a prescription (16). Egrifta: Egrifta (tesamorelin) is the first drug approved to reduce the accumulation of HIV-related belly fat. It works as a synthetic analog of human growth hormone-releasing hormone and stimulates the production and release of the body’s natural growth hormone to reduce body fat levels at 2 mg/day (17). Another option is Ipamorelin at 0.5 mg/day for at least 6 months. Oxandrolone: Oxandrolone (Anavar, Oxandrin) is a mild anabolic steroid with low androgenic activity that also has low water retention properties. It will promote muscle mass gains while also helping to reduce body fat (18). Exercise and a low glycemic diet are recommended along with any of these medications or Egrifta or Ipamorelin. Please read the attached file that contains all oxandrolone studies. N-Acetylcysteine (NAC) and Glycine: Research demonstrates that combining NAC (a powerful antioxidant) with glycine can increase strength while significantly improving body composition in HIV patients. The data suggest that reduced glutathione (GSH) production caused by a deficiency of cysteine and glycine can be quickly corrected by supplementing with NAC and glycine. Increased levels of GSH is associated with lower body fat, reduced waist circumference, and more fat-free muscle mass and strength (19). The study had a high pill count, however. Thryoid replacement for those with low free T3 blood levels (TSH over 3). 1) Baril, Jean-Guy et al. “HIV-Associated Lipodystrophy Syndrome: A Review of Clinical Aspects.” The Canadian Journal of Infectious Diseases & Medical Microbiology 16.4 (2005): 233–243. Print. 2) Montessori, Valentina et al. “Adverse Effects of Antiretroviral Therapy for HIV Infection.” CMAJ : Canadian Medical Association Journal 170.2 (2004): 229–238. Print. 3) Anuurad, Erdembileg, Andrew Bremer, and Lars Berglund. “HIV Protease Inhibitors and Obesity.” Current opinion in endocrinology, diabetes, and obesity 17.5 (2010): 478–485. PMC. Web. 7 Dec. 2017. 4) Saelens, Brian E et al. “Visceral Abdominal Fat Is Correlated with Whole-Body Fat and Physical Activity among 8-Y-Old Children at Risk of Obesity.” The American journal of clinical nutrition 85.1 (2007): 46–53. Print. 5) Grant, Ryan W., and Vishwa Deep Dixit. “Adipose Tissue as an Immunological Organ.” Obesity (Silver Spring, Md.) 23.3 (2015): 512–518. PMC. Web. 7 Dec. 2017. 6) Tomiyama, A. Janet et al. “Low Calorie Dieting Increases Cortisol.” Psychosomatic medicine 72.4 (2010): 357–364. PMC. Web. 7 Dec. 2017. 8) Krebs, Nancy F. et al. “Efficacy and Safety of a High Protein, Low Carbohydrate Diet for Weight Loss in Severely Obese Adolescents.” The Journal of pediatrics 157.2 (2010): 252–258. PMC. Web. 7 Dec. 2017. 9) Boutcher, Stephen H. “High-Intensity Intermittent Exercise and Fat Loss.” Journal of Obesity 2011 (2011): 868305. PMC. Web. 7 Dec. 2017. 10) David J. Baer, Kim S. Stote, David R. Paul, G. Keith Harris, William V. Rumpler, and Beverly A. Clevidence. Whey Protein but Not Soy Protein Supplementation Alters Body Weight and Composition in Free-Living Overweight and Obese Adults. The Journal of Nutrtion. (2011). 11) Stephen Daniells. Green Tea Extract Effective for Weight Loss at Low Doses. Nutraingredients.com. (2010). 12) Laviano A, Molfino A, Lacaria MT, Canelli A, De Leo S, Preziosa I, Rossi Fanelli F. Glutamine supplementation favors weight loss in nondieting obese female patients. A pilot study. Eur J Clin Nutr. 2014 Nov;68(11):1264-6. doi: 10.1038/ejcn.2014.184. Epub 2014 Sep 17. 13) Medical News Today Staff. Link Between Successful Weight Loss And Vitamin D Levels. Medical News Today. (2009). 14) The Diabetes Prevention Program Research Group. “Long-Term Safety, Tolerability, and Weight Loss Associated With Metformin in the Diabetes Prevention Program Outcomes Study.” Diabetes Care 35.4 (2012): 731–737. PMC. Web. 7 Dec. 2017. 15) Traish AM. Testosterone and weight loss: the evidence. Curr Opin Endocrinol Diabetes Obes. 2014 Oct;21(5):313-22. doi: 10.1097/MED.0000000000000086. 16) Rodgers, R. John, Matthias H. Tschöp, and John P. H. Wilding. “Anti-Obesity Drugs: Past, Present and Future.” Disease Models & Mechanisms 5.5 (2012): 621–626. PMC. Web. 7 Dec. 2017. 17) Dhillon S. Tesamorelin: a review of its use in the management of HIV-associated lipodystrophy. Drugs. 2011 May 28;71(8):1071-91. doi: 10.2165/11202240-000000000-00000. 18) Lovejoy JC, Bray GA, Greeson CS, Klemperer M, Morris J, Partington C, Tulley R. Oral anabolic steroid treatment, but not parenteral androgen treatment, decreases abdominal fat in obese, older men. Int J Obes Relat Metab Disord. 1995 Sep;19(9):614-24. 19) Nguyen, Dan et al. “Effect of Increasing Glutathione With Cysteine and Glycine Supplementation on Mitochondrial Fuel Oxidation, Insulin Sensitivity, and Body Composition in Older HIV-Infected Patients.” The Journal of Clinical Endocrinology and Metabolism 99.1 (2014): 169–177. PMC. Web. 7 Dec. 2017. Nelson, I have HIV lipodystrophy (mostly accumulation of deep visceral belly fat). I exercise 4 times per week and watch what I eat but my belly does not come down. Any recommendations for me? My viral load is undetectable. Note: Metformin decreases B-12 blood levels, so take a B-12 supplement or inject 1 cc of B-12 twice per week. The combo of Egrifta plus Metformin plus the diet and exercise may work synergistically but no studies have been performed with this quadruple intervention. Also, read this article I wrote for TheBody.com suggesting fat loss tips. There are over 3800 long-term survivors there! PrevPreviousTake Action! Tuesday, July 18, is National HIV Call-In Day!